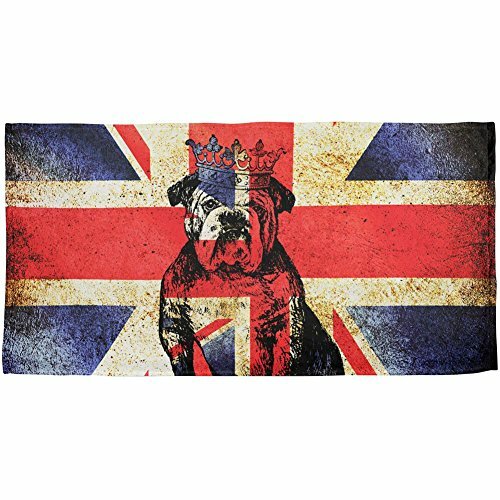 Any bulldog lover knows that these animals should be treated like a king.. or queen. This original Animal World design is printed on a polyester beach towel. The dye sublimation process creates slight imperfections that are unique to each garment. Towel Dimensions: 11" x 18"
View More In Beach Towels. If you have any questions about this product by Animal World, contact us by completing and submitting the form below. If you are looking for a specif part number, please include it with your message. VROSELV Custom Towel Soft and Comfortable Beach Towel-pig series of farm animals graphics hand drawing sketch vintage engraving st Design Hand Towel Bath Towels For Home Outdoor Travel Use 27.6"x11.8"